Drs. 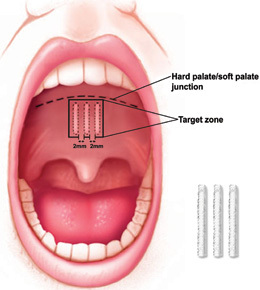 Medford and Luft will examine your upper airway to determine if your palate is causing or contributing to your snoring or obstructive sleep apnea (OSA) and if you are a good candidate for the Pillar Procedure. More than 30,000 people worldwide have been treated with the Pillar Procedure.